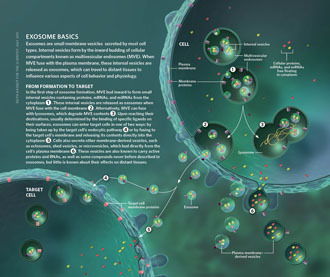 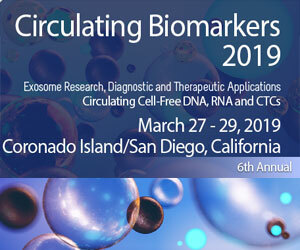 Extracellular vesicles (EV), including exosomes and microvesicles, are nano-sized intercellular communication vehicles that participate in a multitude of physiological processes. 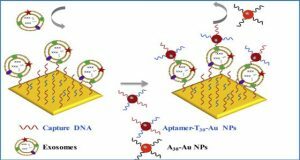 Due to their biological properties, they are also promising candidates for the systemic delivery of therapeutic compounds, such as cytokines, chemotherapeutic drugs, siRNAs and viral vectors. 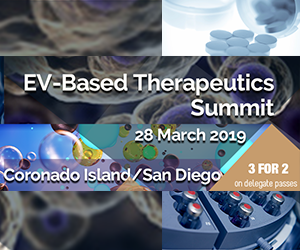 However, low EV production yield and rapid clearance of administered EV by liver macrophages limit their potential use as therapeutic vehicles. 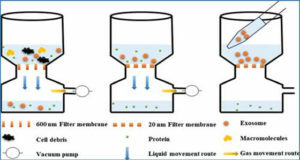 Researchers from the National Cancer Institute at Frederick have used a hollow-fiber bioreactor for the efficient production of bioactive EV bearing the heterodimeric cytokine complex Interleukin-15:Interleukin-15 receptor alpha. 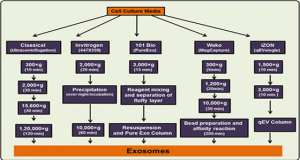 Bioreactor culture yielded ∼40-fold more EV per mL conditioned medium, as compared to conventional cell culture. 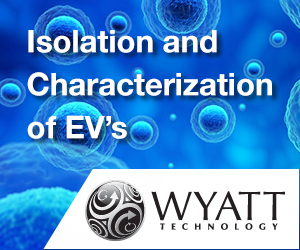 Biophysical analysis and comparative proteomics suggested a more diverse population of EV in the bioreactor preparations, while serum protein contaminants were detectable only in conventional culture EV preparations. 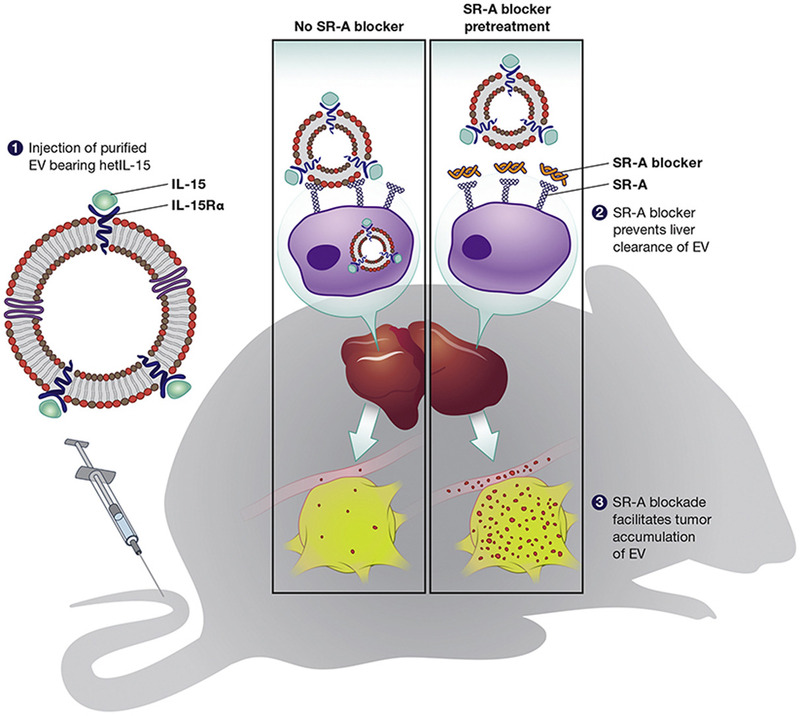 the researchers also identified the Scavenger Receptor Class A family (SR-A) as a novel monocyte/macrophage uptake receptor for EV. 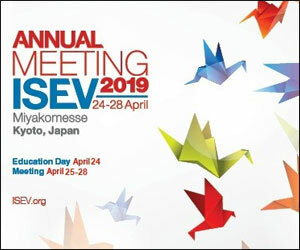 In vivo blockade of SR-A with dextran sulfate dramatically decreased EV liver clearance in mice, while enhancing tumor accumulation. 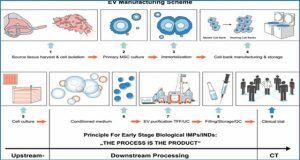 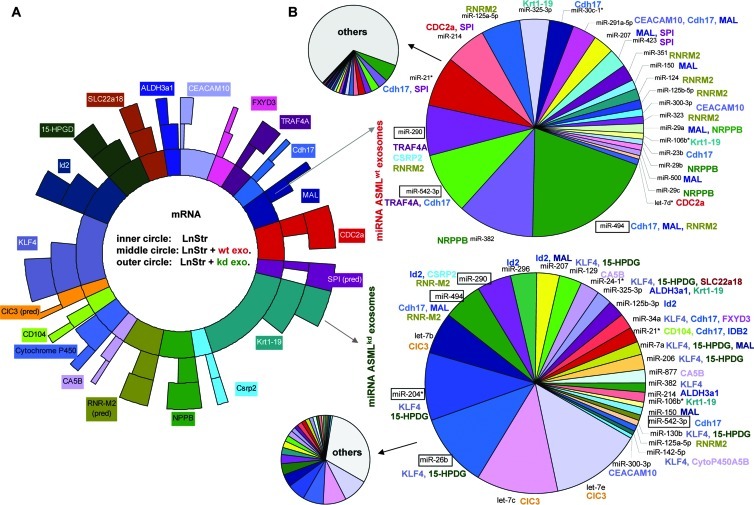 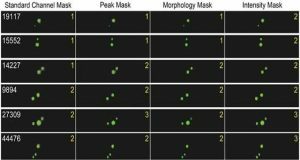 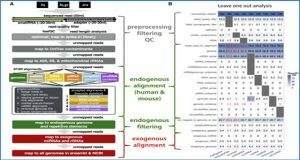 These findings facilitate development of EV therapeutic methods.